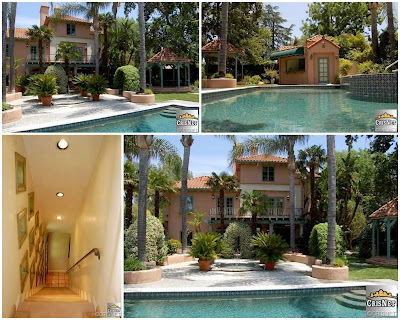 [Update August 24, 2015]: Marc Anthony just listed his newly acquired Tarzana home for $4.35 million which can be read here. 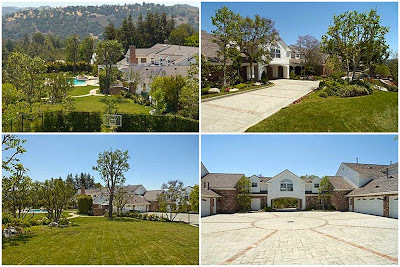 [Update August 6, 2015]: Marc Anthony sold his Encino home to NBA star JaVale McGee on April 24, 2015 for $2,405,000 which can be read here. [Update November 9, 2014]: Marc Anthony listed this home for sale on November 7, 2014 for $2.750 million after purchasing for $2.225 million on April 23, 2013. You can read more here. According to the gossip kings at TMZ, Latin singer-songwriter, actor, and record producer, Marc Anthony, has just purchased an Encino mock-Med mini mansion in the Amestoy Estates area which is located north of Ventura Blvd and South of the 101 Freeway (as a matter of fact the home is a stones throw away from the 101 and not too far from the old Edward Everett Horton ranch) for reportedly $2.5 million. Online property records dont reflect any transactions occurring in this amount or in Anthony's name so we have to assume that TMZ is correct and that the records will be updated in the near future. The home measures 5 Beds/4.5 Baths on 6,263 sqft on a total lot size of 0.41 acres built in 1988. Prior to Anthony's purchase, this property was purchased for $1.4 million on January 14, 2011. 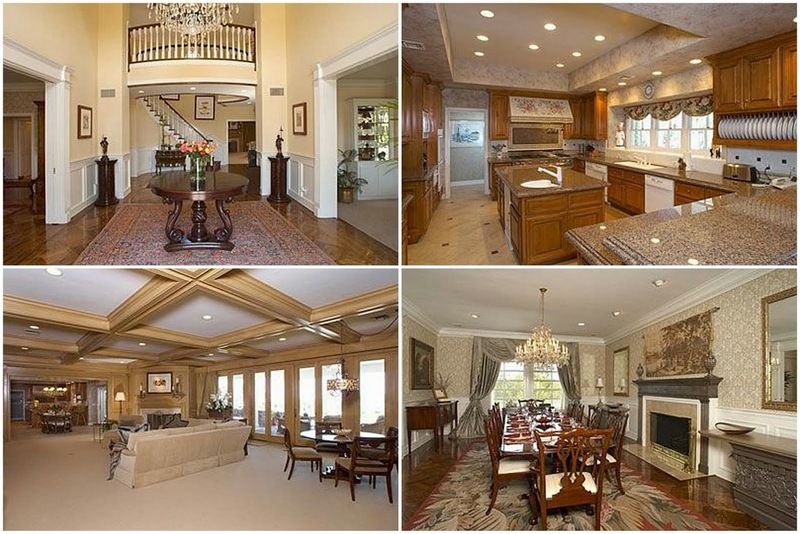 The pictures shown above are from the 2011 listing and not the most recent sale. However, the listing description from when the home was first listed on October 4, 2012 is below which states that over $300K has been invested in the property so one can assume that the home looks much different than what is shown above. Enter your entertainer's paradise. Tucked away behind gates and within a gated community is this gorgeous Spanish mansion. Over $300,000 in renovations have made this home an idyllic retreat. 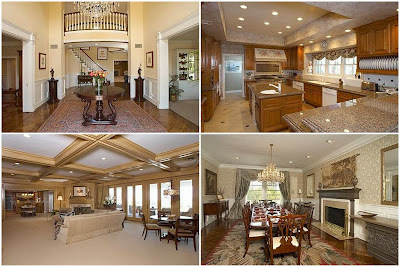 From the gorgeous hardwood floors to massive chandeliers to new electrical and plumbing no cost was spared. Enter into a grand foyer with soaring cathedral ceilings and impressive finishes. The home comes complete with 6 beds and 9 baths. The massive gourmet kitchen comes complete with commercial grade venting hood, SubZero Dual Fridges and Freezers, a Wolf Grill and Stove that would make a chef salivate. In the spacious master bed you can curl up by the fireplace or enjoy a cup of coffee on the balcony. The master bath is an absolute treat with a fireplace, dual steam showers, dual wash closets and dual vanities and, not to mention, every woman's dream... a store sized closet! Additional features are a recording studio and so much more. Inquire ASAP! 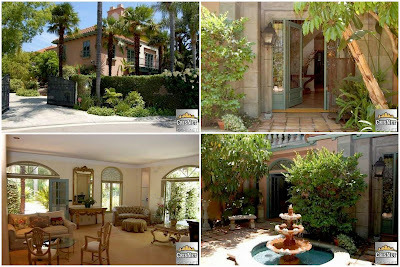 Prior to this home, TMZ stated that Anthony was leasing a 10,000 sqft Italian Renaissance villa in West Hollywood for $23,800 per month in October 2011 shortly after his separation from Jennifer Lopez in July 2011 with Anthony eventually filing for divorce on April 9, 2012. SPECTACULAR, ONE-OF-A-KIND, CUSTOM ESTATE WITH ABSOLUTELY PANORAMIC, CITY LIGHT VIEWS. OVER 17,000 SQUARE FEET OF QUALITY AND LUXURY ON A HUGE (3-ACRE) DOUBLE LOT. 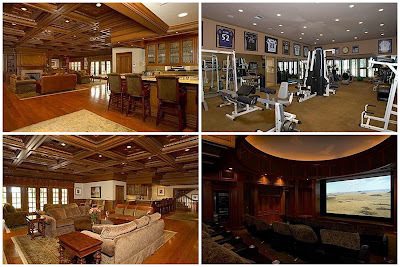 FABULOUS, 20-SEAT THEATER, HUGE GAME ROOM, STELLAR GYM, RECORDING STUDIO, GOURMET KITCHEN, STUDY, BIG BONUS ROOM, FULL GUEST SUITE WITH PRIVATE ENTRANCE, WINE CELLAR, BIG SPORTS COURT, 8-CAR GARAGE WITH MOTORCOURT, EXPANSIVE ROLLING LAWNS, POOL, SPA, BBQ CENTER, MATURE TREES! WONDERFUL PRIVACY AND A PRIME, ASHLEY RIDGE LOCATION TOO. NOTHING LIKE THIS ON THE MARKET. (PLEASE SEE AGENT REMARKS REGARDING YEAR BUILT AS HOME WAS BUILT IN TWO-PHASES OVER TWO ADJOINING LOTS). QUALIFIED BUYER'S ONLY PLEASE. Funnyman Kevin James recently sold two homes; the larger mansion for $5.5 million in May 2013 and the smaller home for $1.6 million in March 2013. The late Warren Cowan, who was a publicist to the stars, just sold for $2 million on March 2013. Shirley Jones of the Partridge Family is currently available for $2.1 million. The late Fred Travalena's long time Encino home currently listed at $1,425,000. David Hasselhoff's long time Encino Mansion currently priced at $3,795,000. The former Al Jolson Estate which was owned by Charlie Sheen at one time is listed for $6.5 million. 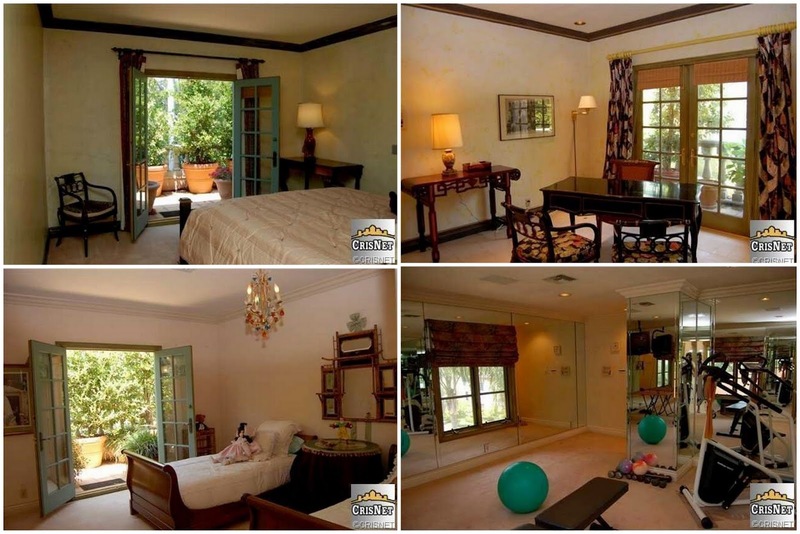 The former home of Selena Gomez just sold for $3.5 million in December 2012. 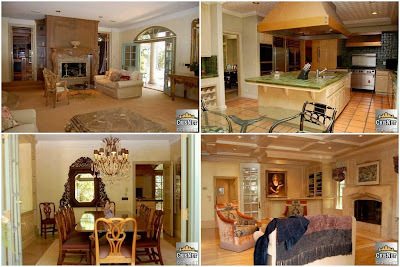 Heidi Saban Stills (father is billionaire Haim Saban) home just sold for $2.4 million in February 2013. The former Macy Gray home is available for $5.9 million. The former Joey Lawrence home just sold for $1.875 million in February 2013. 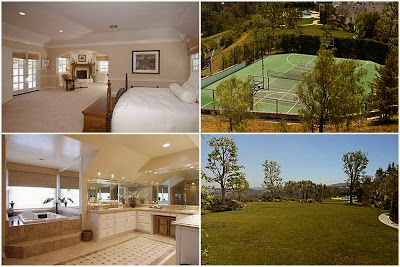 There are many celebrities who previously or currently call Encino home like Tori Spelling (former), Scott Baio (former), the Jackson Family compound, Leighton Meester, Annette Funicello's fire destroyed home, Brian Bloom, Tamar Braxton and Vincent Herbert (former), Vampire Diaries Director (former), Jennifer Morrison (former), Dave Grohl, Donald Penn, and Shirley MacLaine (former) to name a few (or several). The former Lisa Marie Presley estate is flipped for $22 million in April 2013. Ozzy and Sharon Osbourne (music/reality) who just sold their mansion to Jessica Simpson for $11.5 million in March 2013. LeAnn Rimes and Eddie Cibrian who purchased a $3 million short sale in December 2012. 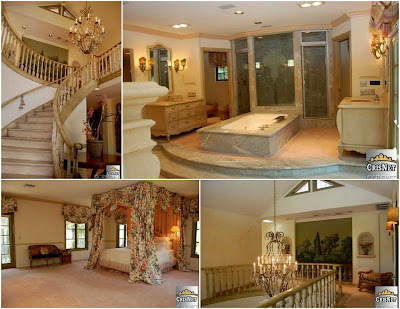 Tamar Braxton and Vincent Herbert who purchased a Hidden Hills mansion designed by Ron Firestone on September 8, 2011 for either $3.4 million or $6.9 million who heaved it back on the market for barely one year later on October 11, 2012 for $7,595,000 and havent budged ever since. Billy Blanks (Tae Bo) who recently sold his mansion for $7.3 million. Ron Tutor (Construction) who previously leased to Britney Spears and is currently available for less than $10 million. Beau Bridges (actor) who is trying to sell for under $3 million. Drake (music) who recently purchased for $7.7 million. Taylor Hawkin's (Foo Fighters music) purchase of a former Howie Mandel mansion for $2.7 million. Morris Chestnut's short sale for $2.3 million. Dwayne "The Rock" Johnson's (wrestling/acting) who recently sold for $4 million. 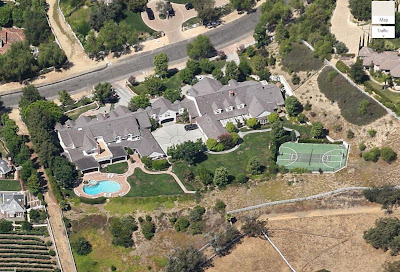 Also, the Kardashians/Jenners live in this area. You can view more SFV Celebrity Real Estate here. 1 comment to ''Celeb R.E. : Marc Anthony Settles Down in Encino's Amestoy Estates"